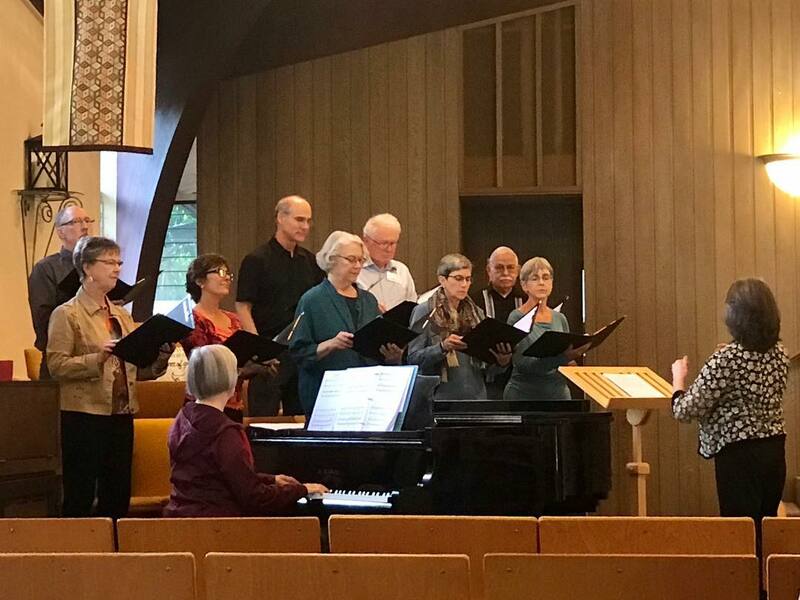 Choral Director Rita Lilly (right) led the Lafayette Christian Church choir this morning in a wonderfully sensitive performance of my composition, “Sh’ma Koleinu” (Hear Our Voice). I was honored to be present for the service as Pastor Steve Borgard spoke of the tragic shooting in Pittsburgh, and Rabbi Jay Asher LeVine from Temple Isaiah delivered a guest sermon. The outpouring of prayers and caring from the church community gives me hope and strength. Thank you.